Situated in the idyllic valley just north of Los Angeles, the famed Ojai Valley Inn and Spa is a haven for foodies, wine lovers and the Hollywood elite. The gorgeous, 303-room property is tucked away with sweeping views of the Topatopa Bluffs, giving the resort a uniquely peaceful energy. 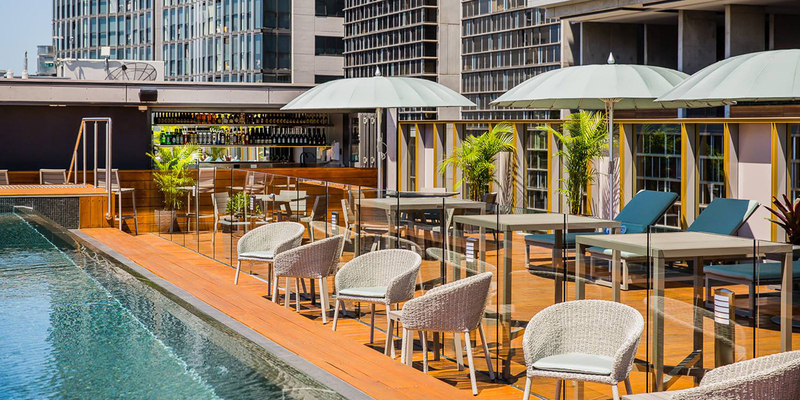 This AAA Five Diamond Resort lives and breathes the quintessential relaxed luxury of Southern California style with lush scenery, ideal weather and a particular focus on hospitality as wellness. 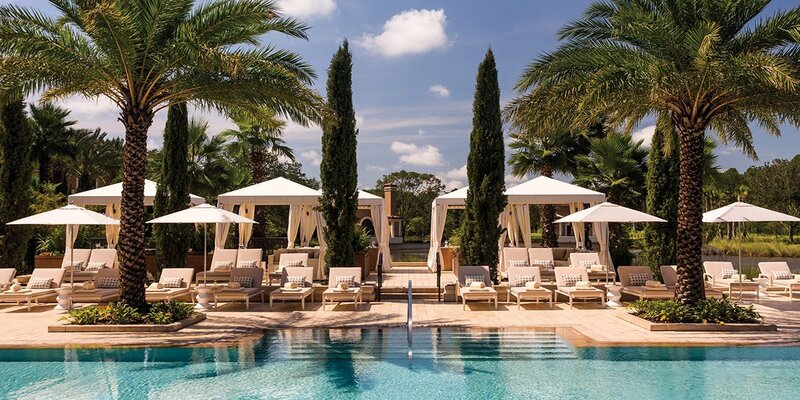 The resort’s décor is just as ethereal as its environment. 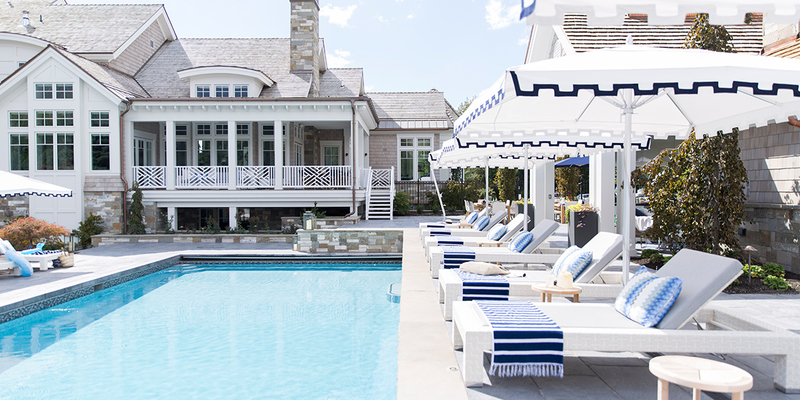 The JANUS et Cie team was proud to be on site for two days installing our furnishings at the resort’s Indigo Pool and Bar. 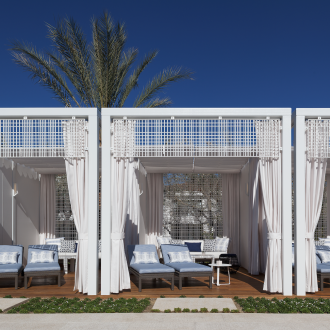 With a distinctive palette of cool, deep blues, the relaxing space offers guests an exclusive oasis and features pieces from some of our finest collections including Vitali Chaise Lounges and JANUS Aluminum Umbrellas around the pool, as well as Amalfi Daybeds and Vino Side Tables in the premier and VIP cabanas. 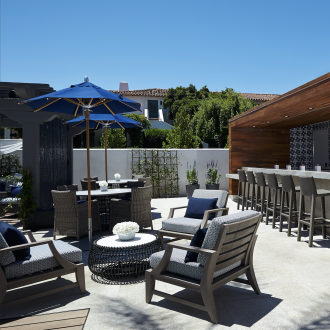 The Relais collection, Vino Dining and Side Tables, and Vitali Barstools make for a stylish poolside bar. The stunning, custom project showcases SoCal panache while remaining authentic to the cool, relaxing Ojai Valley lifestyle.